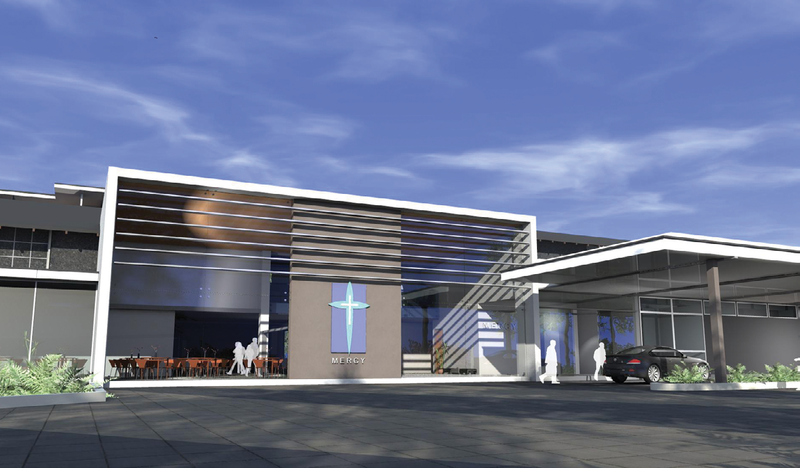 Artist's impression of planned renovation to main entrance. Mercy’s campus encompasses a full range of surgical specialties and healthcare providers, conveniently located within a picturesque and serene setting in central Dunedin. With a proud history of providing for the healthcare needs of Otago and Southland residents for more than 80 years, Mercy Hospital caters for a range of elective surgeries in a caring and supportive environment. Maintaining the Christian values on which it was founded, the dignity of every person is respected. In response to an increased demand, Manaaki by Mercy day surgery and oncology facility was commissioned in 2016. Designed and purpose built to meet the healthcare needs of Otago/Southland residents, Manaaki’s exceptional architectural design, efficiency, and environmental credentials were formally recognised at the Property Council New Zealand Property Industry Awards for 2017, where it was awarded best in category in the Health and Medical category. Providing specialist cardiology services to the people of the lower South Island for more than 14 years, Mercy Heart Centre’s experienced clinicians offer the breadth of cardiac and vascular care through its Interventional Cardiology Lab. Offering individualised care from a homely new unit in the Manaaki building, patients and their families can enjoy the privacy, tranquil setting and welcoming atmosphere of Mercy Cancer Care. Patients are provided with choice in how they receive their cancer treatment, along with expert advice and treatment in the Cancer Care suite. 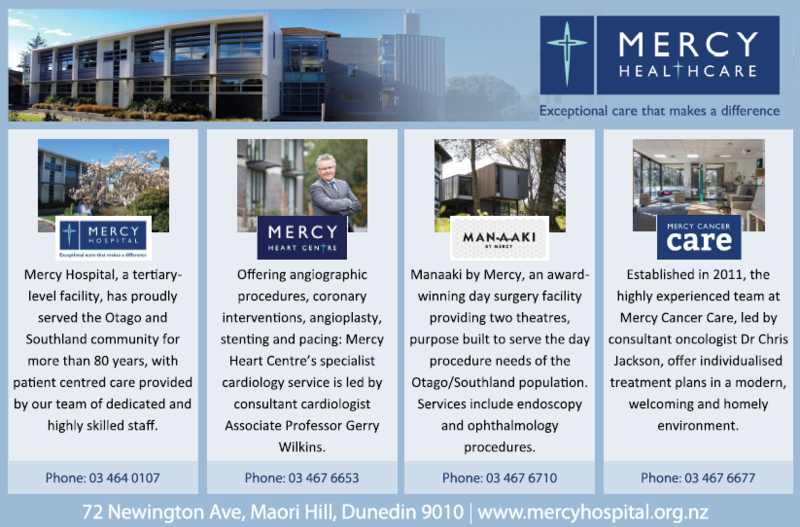 Mercy Healthcare prides itself on its nimbleness and is responsive to the needs of the Otago and Southland community. Campus development aids this growth in demand and recently completed building work includes the redevelopment and expansion of the public car park. Future projects incorporate the restoration of Marinoto House, hospital expansion, campus landscape development and Marinoto clinic refurbishment. Mercy’s Mission and Charitable Outreach activity is our expression of continuing the legacy of the Sisters of Mercy. The Surgical Outreach; Works of Mercy Education Learner Support; Charitable Outreach Partners; Sisters of Mercy Projects; and annual community donations are just some of the ways that Mercy Hospital extends the healing ministry beyond its walls.